Update: one day later, 31% of the tickets are sold out. 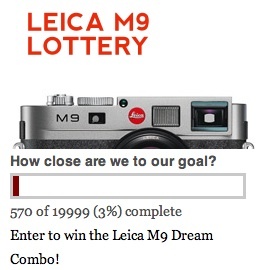 The first Leica M9 lottery got sold out in only 3 days. 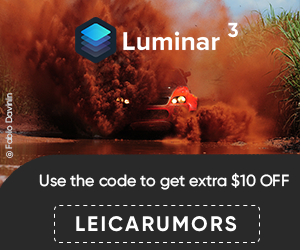 This time LeicaShots has doubled up the reward: the prize is now a Leica M9 and a Noctilux f/0.95 lens combo (or any other equivalent combo). The lottery was announced few hours ago and already 3% of the tickets are sold out.